Cosmetic Surgeons in North America are some of the most active internationally when it comes to Search Engine Marketing. Google Ads is the preferred platform for search ads – the ones that appear at the top of search results. Using Google Ads, virtually anyone has the ability to pay for top positions on Google’s search results page. Through AdLuge, we have been able to use industry average data to help Cosmetic Surgeons understand what should be expected out of paid search campaigns. The below data represents averages for over 50 cosmetic surgeons that currently use the AdLuge Marketing Intelligence tool. The average Cosmetic Surgeon spent $1565.43 in September. This is down from $1921.17 in June. This is a great example of the industry fluctuations in averages and trends month over month. Now that summer has passed, peak season may have already gone by as well. Although overall spend decreased, you’ll notice that the relative cost per conversion and impression share showed very little change! The average Google Ads campaign got 284 clicks in September, down from 525 in June. This is not surprising considering the average spend increased during that same time. Although the average spend was decreased by less than 25%, the average amount of clicks decreased by nearly 50%! At first you may think this is not very good performance. However, if you compare the amount of clicks with the amount of conversions, it’s actually quite healty! The average Google Ads search campaign garnered 13 email and phone leads. Based on budgets, this means the average Cost-Per-Lead was around $120.41 per lead. In June, the average Cosmetic Surgeon got 15.5 leads. This is a higher average, but also a higher Cost-Per-Lead of $123.25. In this case it’s important to consider how much a lead is actually worth. Spend was reduced this month which resulted in less conversions overall, however a better Cost-Per-Conversion than previous months was also achieved. The average impression share for all campaigns was at 57.88% in September. This means that campaigns were only being shown for a little over half the time the could have been. This is often, but not always, due to budget restrictions. In this case it is likely a combination of both. Considering the average impression share was down from 58.93% this is actually a very small change given the larger disparity in overall budget. Whenever possible, we recommend to do your best to maximize impression share without compromising your Cost-Per-Conversion. According to AdLuge data, the average account received 5.5 in person consultations in September, down from 5.6 in June. 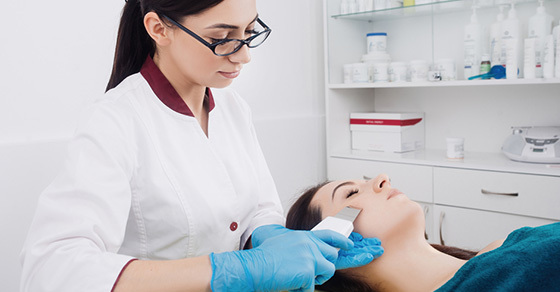 Considering the difference is so subtle over more than 50 Cosmetic Surgeons, it is a good indicator that September was a more cost-effective month compared to June. Next month I will be writing an article on average lead trends for the industry across several online mediums. This will help Cosmetic Surgeons understand some of the latest tips that other practitioners are employing in order to achieve better conversion performance across all efforts. NEED HELP? If your practice has a paid search management company or a local resource you may want to compare these trends with them. Otherwise you can always feel free to call me at 1-866-410-7090 or reply to this email. As many of you know, this is my favorite industry to work within!